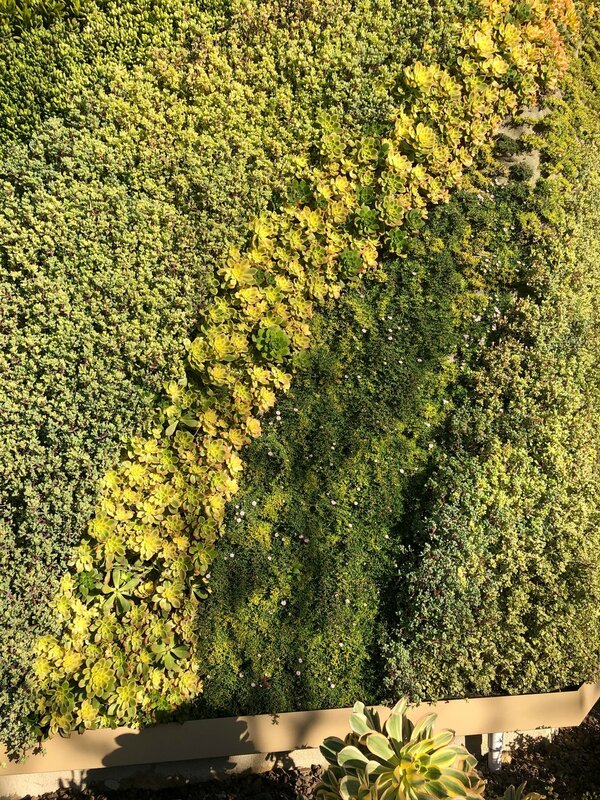 Here’s a little photo tour of the huge succulent green wall at Twin Peaks Mall in Poway, CA. 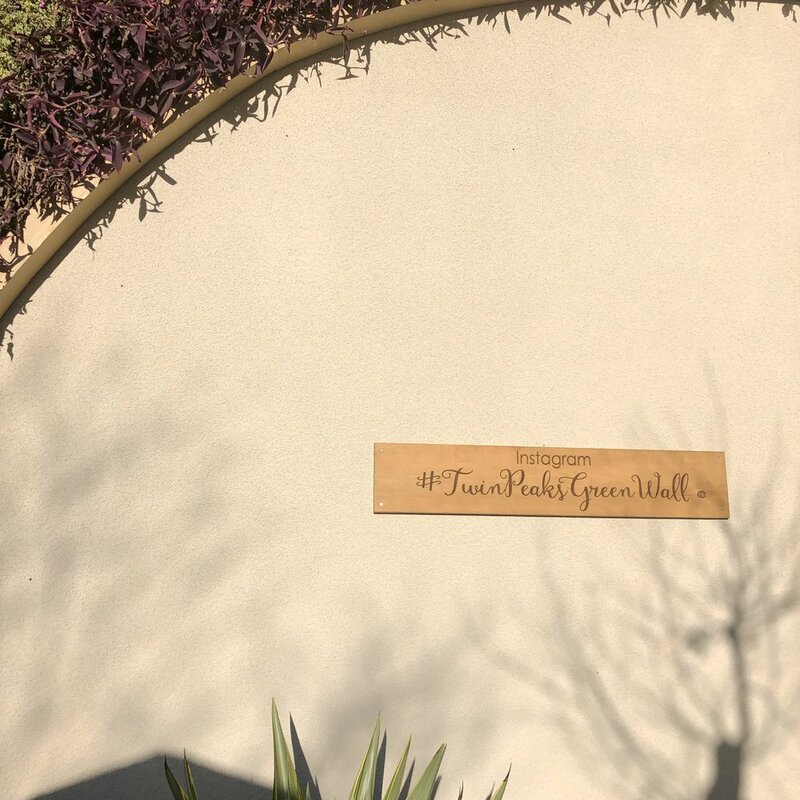 If you visit, be sure to tag your pics with #TwinPeaksGreenwall! Note: This post was sponsored by Twin Peaks Mall but the opinions and content are my own. 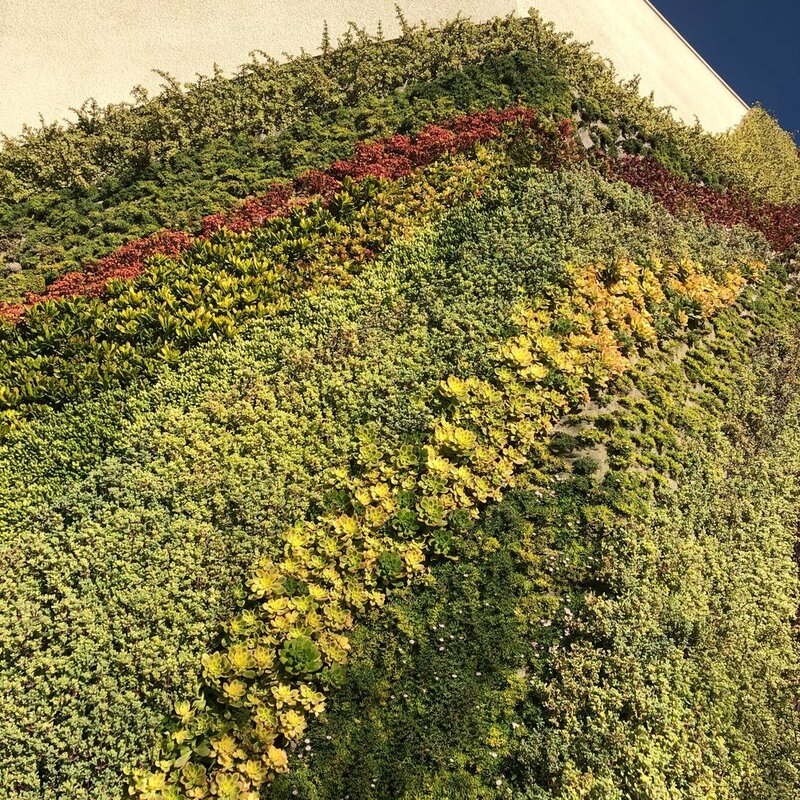 The wall looks like a huge rainbow wave of plants to me! If you visit, look for the Starbuck’s, it’s right outside. Here I am for size. Nine different types of succulents represented. 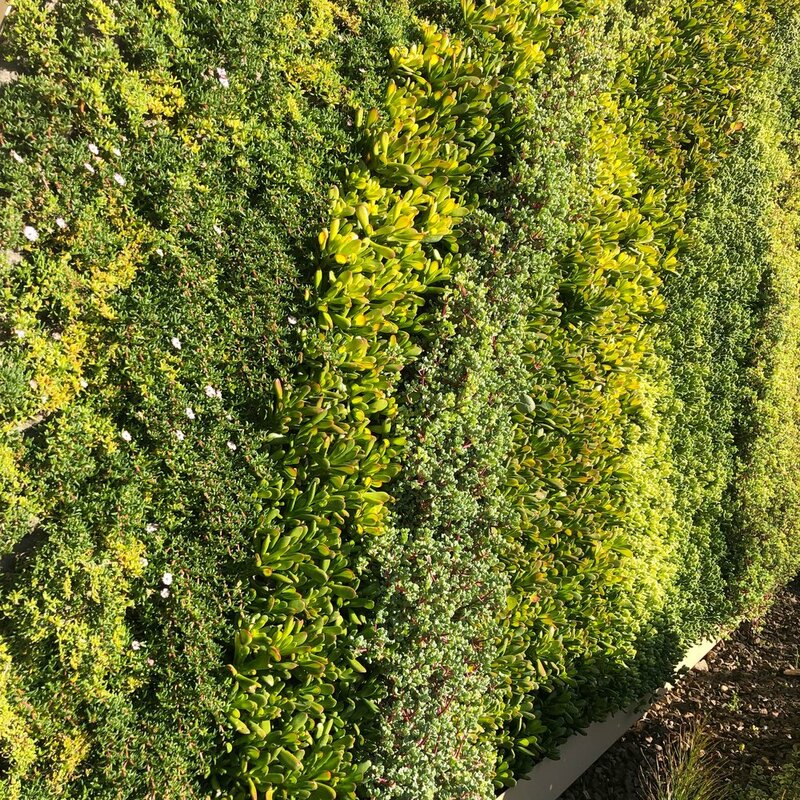 The wall has 5,000 plants and requires regular maintenance. Here’s a close-up of the Aqua Felt system. It's made from recycled plastic bottles and serves as a structure to hold and irrigate the plants. If you look closely on the bottom right, you can see the irrigation piping. The piping goes up to the top of the structure. 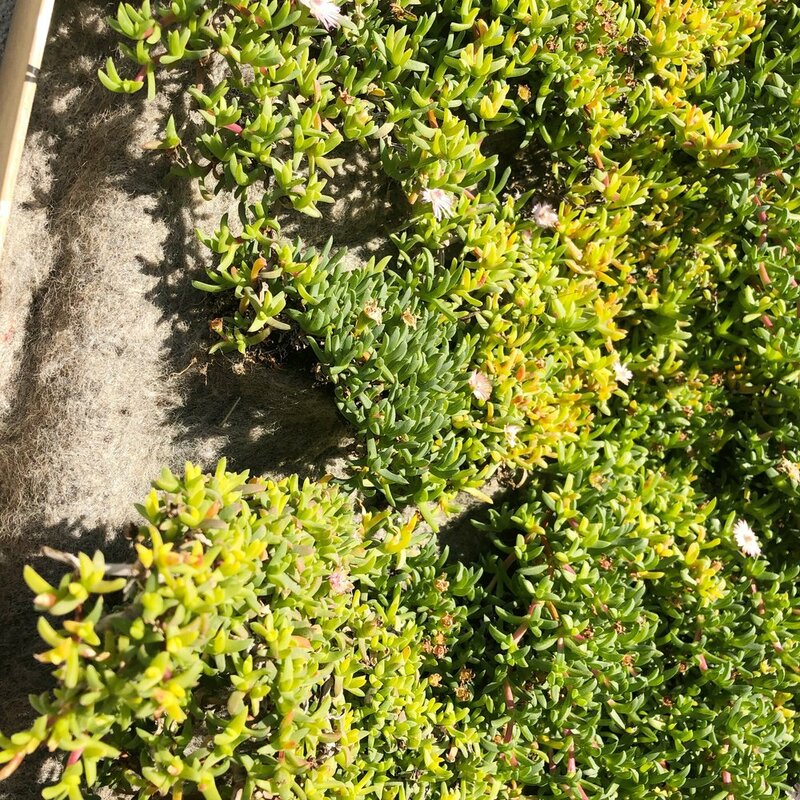 The irrigation can be modified selectively depending on the area of the wall. Clever engineering! Sweet succulent blooms soaking up the sun. My son wanted to take some photos. 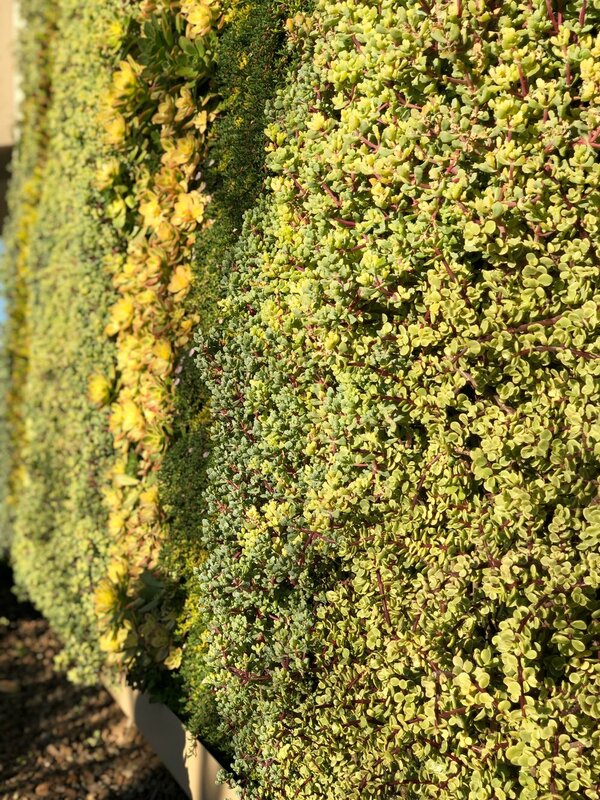 I think he captured this trailing Portulacaria afra quite well! Don’t forget to tag your social media photos of the wall with #TwinPeaksGreenWall!